The Verve is a relatively new offering from Factor Equipment, a subsidiary of Fenix Flashlights. 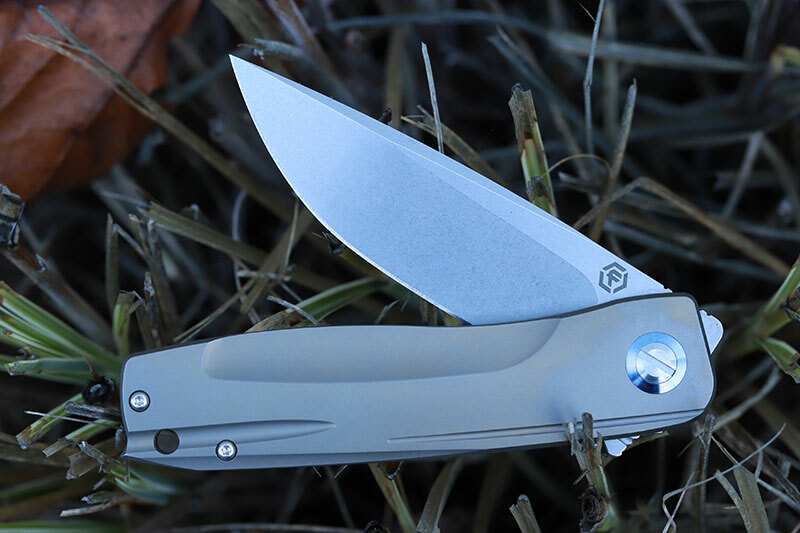 After their initial product rollout with the Absolute and the (controversial) Iconic folders, Factor released a second wave of new designs last year including the miniature Bit and the value-oriented Hardened flipper. The Verve is the sleek, stylish one of the group – and it’s a big knife, unlike the Bit. Measuring 8.2” open, the Verve has over 3.5” of blade length and is loaded with the “what’s what” of premium knife ingredients – titanium construction, a framelock with a stabilizer insert, slick flipper opening with bearings, sculpted clip, anodized parts, premium blade steel – but not a premium price tag – retailing for a Wendy’s value meal more than a standard Spyderco Paramilitary 2. As with any remarkable value, you have to wonder if the price savings come from cut corners or if this is just a new brand trying to prop up their reputation by offering kobe beef at Burger King prices. Let’s take a closer look. The Verve’s blade is textbook EDC fodder. It’s a long, narrow drop point – measuring 3.625” long and 1.125” wide, it has a high flat grind and a swedge that runs almost the whole length of the spine. A near vertical plunge grind intersects with a small sharpening choil that has a very minor “beard” at the termination of the sharpened edge. The whole blade has a nice finish to it, that Factor says is from a two-stage process where it’s ceramic bead blasted before being stonewashed. The center axis of the blade is relatively high for a drop point, sort of LionSteel-esque in proportions to my eyes. Blade stock is 0.15” at the thickest point, putting it somewhere between fat overbuilt “sharpened prybars” and ideal slicing thickness. Balance is always a good idea for a daily carry knife. Blade steel is Crucible CPM-S35VN, which will no doubt be a familiar name to our readers. It’s a high quality powdered metallurgy steel that’s seen wide adoption in the cutlery market in the past few years, being better for both producers and consumers than its predecessor CPM S30V. Niobium is added to the recipe in place of some of the Vanadium, resulting in a tougher blade steel that’s less prone to chipping, as well as being easier to sharpen on the consumer end and easier to machine on the production end. Edge retention and corrosion resistance is basically the same. There’s a reason S35VN is a gold standard in the knife market: it’s a modern steel developed specifically for cutlery use, with an excellent balance of edge retention, toughness, corrosion resistance, and ease of sharpening. It’s not exotic like S110V or M390, but it’s excellent for day to day use. The Verve is fairly decent flipper. After the overly-strong detent on the Absolute and the gritty closing feel of the Bit, the Verve shows that Factor is making strides in this category. The tab itself has excellent geometry: it’s designed for lightswitch style operation as opposed to push-button flipping, and the contact surface is concave which allows the pad of your finger to sit comfortably in it. Jimping on the leading edge of the tab adds grip but doesn’t tear up your finger either, and the “landing area” on the spine of the handle is also smooth. The detent is perfectly set on our test example, not requiring a finger exercise regimen like the Absolute to achieve a reliable deployment. The Verve’s blade rides on ceramic ball bearings in a bronze cage, and it is exceptionally smooth – free dropping shut with a gentle shake once you’re past the detent ball while closing. It’s not the fastest flipper in the world, likely due to the weight of the blade itself, but it is exceptionally smooth and fun to flip open. Regardless, unlike side to side blade play, vertical blade play can potentially be a safety concern – the lockbar moving like this could cause it to slip off the tang of the blade and unlock when you don’t want it to. You can also feel a little bit of this through the handle when you open the knife which is unnerving. Oddly, there isn’t any appreciable side to side blade play. As far as construction goes, the Verve is similar to the Bit in how it’s built. It uses an internal stop pin positioned below the pivot pin to locate the blade in the open position, and is fastened together with non-proprietary hardware: a pivot pin that’s got a large slot for a straight screwdriver, and body/clip screws that are Torx T6 fittings. The Verve is easy to take apart, too. Caged bearings mean you don’t have to take it apart over a magnetic parts bowl like an IKBS knife, so you can have the show side off and the knife apart with a total of just three screws. The handles and backspacer are titanium, with a strange brownish-bronze anodization on them – the Verve is also available in a more conventional grey finish. Like the Bit, the Verve has a 3D-machined pocket clip – made from titanium and anodized blue, secured with a single screw. Like the clip, the pivot collar on both sides is also anodized light blue to give the knife a splash of color contrast, which seems a bit unnecessary considering the brown handles already draw quite a bit of attention! The clip is configured for right hand tip up carry only, and opening is by a flipper tab that’s more of a light switch shape, with a curved portion that your finger rests on. Like most modern titanium flippers, the Verve uses a bolt-in lockbar insert that contacts the tang of the blade to prevent lock stick. It also serves as an overtravel stop with an upward protrusion that prevents you from hyper-extending the lockbar when you’re unlocking the knife. The Verve is good proof that there’s a gap between a knife that’s well-finished and one that’s functional. Is it put together nicely? Yes. The gap across the backspacer is even, the pivot bolt is almost perfectly level with the slant of the pivot collar when tightened down, the blade is centered when closed, all of the threads are smooth and clean, and it generally feels like a well-made product in hand. That’s countered by the shaky lockup and some usability issues we’ll get into in the “field test” section that prove that Fit & Finish aren’t all that. This is a rare knife in that you generally won’t be annoyed by how it’s put together – you’ll be annoyed by how it works. Boy, this is an Instagram Knife™ if I’ve ever seen one. It sure is pretty! The subtle stonewash of the blade, the cool matte brown handles, the iridescent blue anodization on the clip and collars, the all-important thwack as you flip it open on ultra-smooth ball bearings. This will get at least 37 likes. Too bad it’s not pleasant to use. Let’s start with what’s good. S35VN steel, stone washed, drop point. They got that much right. Friend and host of the Average Iowa Guy YouTube Channel (and cohost of the Knife Journal Podcast) Kyle Ver Steeg looked at the Verve for the first time and remarked “That’s nice… it looks like a Sebenza-inspired knife!” And he’s not far off – most mid-sized titanium framelocks take some inspiration from Chris Reeve’s seminal titanium folder, especially in the blade profile. A long drop point with a high flat grind and a nearly flat spine combined with a pronounced belly make for an all-around that can theoretically pierce, slice, and do anything else you do with a knife generally well. Let’s get into the bad. For one thing, this blade is needlessly thick behind the edge. Good steel and heat treat and blade shape are important, but so is geometry, and the Verve would benefit greatly from a hollow grind or more stock reduction so it’ll actually cut stuff well. It does a decent job of piercing but slicing points out this deficiency with the blade dragging down in cardboard easily, even with a sharp edge. Edge retention was good during my time trying out the Verve, requiring one main sharpening session when I got it to set up the edge and then occasional passes on the fine stones to tune it up, and the stonewash finish did an effective job of hiding any scratches on the blade. Ergonomics are not great. The Buck Rodgers spaceship shape to the handle looks slick, but the protruding “tail” at the end of the handle is an immediate and uncomfortable hot spot, made more irritating by the fact that it doesn’t seem to serve any actual purpose. Using the knife for any period of time becomes uncomfortable as the protrusion jabs into your palm. Aside from the jabbing handle, there’s not much actual shape to the Verve, nor is there much traction. The smooth finished titanium handles look great but don’t offer a positive grip like some other similarly sized folders. Nor does it offer a forward finger choil to choke up on, a shame when you take into account the considerable blade size – 8.25” open with nearly 3 ¾” of blade, even a generous half-inch choil would still leave you with quite a lot of real estate for cutting. Carry isn’t great, either. While the shape in pocket isn’t bad, the pocket clip is pretty poor – it offers very little retention (sadly a problem with most machined clips like these) and it’s wide design means it’s prone to catching and banging on things – once even sliding itself out of my pocket on the edge of a car door and onto the ground. A lack of configurability feels like a personal attack on left-handers, although I don’t suffer from that. The Verve weighs in at 5 ounces, but manages to feel heavier – dense, if you will. The lack of clip tension means that the Verve will pendulum around in your pocket, knocking into your phone or whatever else you’ve got in there, and feels like a nuisance on longer walks. But the biggest thing that ultimately kept me from picking this up and sliding it into my pocket in the morning was the vertical blade play, which to me is not acceptable in a knife. At a retail price of about $140, the Verve is in a unique position in the market price-wise. 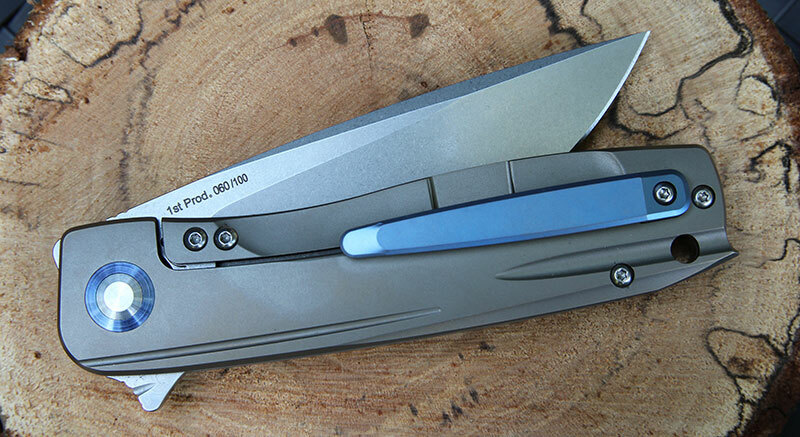 It’s a lot cheaper than most other titanium/bearing pivot/framelock flippers from established brands, but it’s also a good bit more expensive than some high quality mainstream knives using G10 and premium steels everyone knows and loves. Kizer is all over this market, with 63(!) options fitting the description of a titanium framelock flipper between 3.5-4” blade and between $100-$250 on BladeHQ. The Cucchiara Flashbang (Titanium, S35VN) at ~$170 or the Alter Ego both look appealing, although they are margin above the Verve’s price tag. The Tomcat Panthura also looks like a great deal at ~$120 with titanium and S35VN, and a sweeping clip point with a dramatically curved handle. 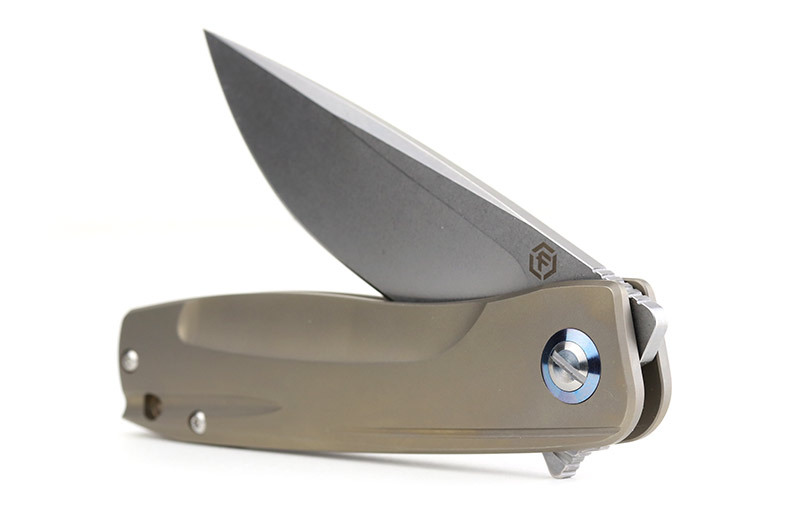 Most of Zero Tolerance’s similar offerings are going to come in more expensive than the Verve, but the Dmitry Sinkevich-design 0450 flipper comes in at $160 retail with full titanium handles and a 3.25” drop point blade in S35VN. It’s a great EDC option at only 2.9 ounces as well, and of course there are nicer versions with better blade steels and lighter components for even more cash. You could also look on the high end of Kershaw – the Knockout is, well, a knockout, and at $75 retail it includes KAI’s patented subframe lock mechanism, aluminum handles, a drop point blade in Sandvik 14c28n steel, and of course SpeedSafe assisted opening technology. There’s also the upcoming Bareknuckle, a knife I’m personally quite excited for – it’s an upsized version of the Natrix, itself based on the award winning (and dubiously duplicated…) ZT 0777, but with KVT ball bearings and a 3.5” stonewashed 14c28n blade. LionSteel makes a wide variety of things, but what they don’t make is a cheap titanium flipper framelock. That’s okay, because the aluminum-bodies SR-11 at $190 (titanium bumps that up to ~$340!) is a seriously cool piece of kit. It’s an update of the iconic SR-1 folder, now with a flipper for deployment and a ball bearing pivot for a faster action. The blade profile is revised, too, with less of a belly – my big complaint with the original SR-1/LionSpy. Spyderco has a few options here too, the most practical being the Mantra 1 & 2 – both titanium framelock flippers with ball bearing pivots, and featuring high-performance CPM M4 steel – long on edge retention and toughness, and almost non-existent on corrosion resistance. The only difference is the blade profile – the Mantra 1 features the classic Spyderco leaf shaped blade with a full sized thumb hole, while the Mantra 2 has a filet knife inspired drop point with a vestigial thumb hole and a smaller profile in the pocket, both retailing for around $190. There’s also the Positron flipper from Brad Southard, with cool contoured carbon fiber scales and a funky 3” drop point in S30V, for around $165. Thanks to Spyderco’s MAP increase, that’s about what a Paramilitary 2 costs these days, which seems like a bad deal for a PM2 but it’s still a better knife than the Verve by all the metrics that matter. Two other knives worth taking a look at in this price range don’t boast the titanium scales of the Verve, but they have plenty of attributes aside from that to recommend them. The WE Knives Ignition comes in at $125 with a variety of colored G10 scales on the show side, and a titanium framelock with a lockbar insert. 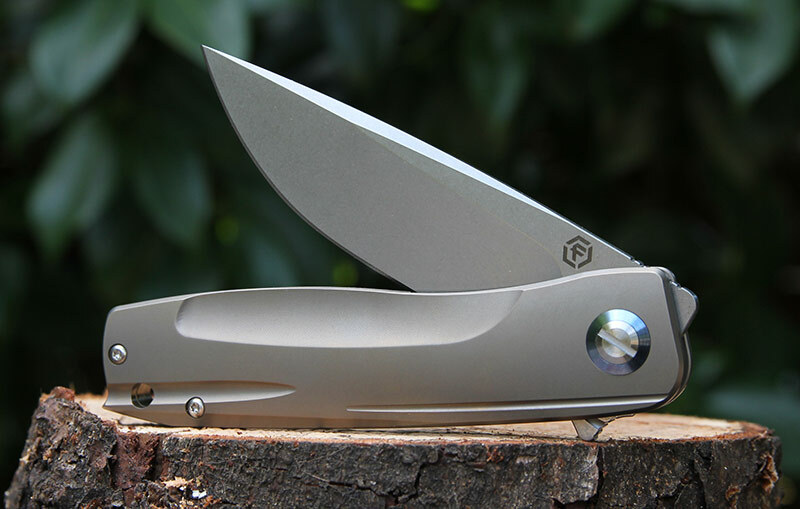 VG-10 is off the pace here but the rest of the knife isn’t: linerless construction makes it thin in the pocket, ball bearings make it a great flipper, and WE has been making waves with their impressive construction lately. There’s also the intriguing high-end version of the Steel Will Modus, with G10 handle scales and a stainless liner lock. It’s made in Italy, uses a bearing pivot, and boasts Bohler M390 blade steel for ~$150. I want to tell you that the Verve is a classic underdog success story, because I like new companies that burst onto the scene and try to make an impact with innovative products, but… well, that’s the Bit, not the Verve. This knife isn’t a home run, or whatever your preferred sports analogy in this circumstance would be. The only things it’s really got going for it are it looks cool and it’s a good value when you look at the materials and features, but if you get a good deal on something you don’t like, it’s not really a good deal is it? A good flipping action and a spec sheet that reads like it was copy/pasted from a knife costing twice as much doesn’t save it from being unnecessarily heavy, uncomfortable in hand and lacking a solid grip, having a bad pocket clip, edge geometry that doesn’t lend itself to slicing, vertical blade play that’s tactile and audible, and… you get the picture. I wasn’t a fan, and I wasn’t entranced by the Verve like I was with the Bit: a knife where the basics were nailed so the minor foibles could be easily ignored. Not to be blunt, but they can do better with their designs and build quality and you can do better with your $140. The Verve had promise but fails to deliver. Form has sadly conquered function here. Fun to flip and look at, not to use.